My last post was about some crazies that promised 'you were gonna laugh'. This post is a bit more somber. The suicide of Rick Warren's 27-year-old son has really affected me. Sometimes we can't make sense of things. But then, sometimes things just don't make sense. All is not happiness and light. And magical peace and joy. Sometimes there's weeping, and questioning, and just taking one step in front of another. Or maybe just going to bed for a while. We don't have to figure things out. I've known junk in my life. Heartache. Deep grief. Miscarriages, twin-death, friend betrayal, in-law weirdness that people tell me I must not have forgiven since I've not let said person in my life. etc., etc. People don't understand my yuck. I don't understand theirs. We all have our stuff. But the morning was new this morning. 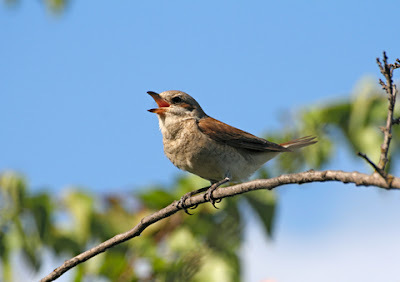 And that little bird was singing outside my window again. Sweet thing. And I have the Bible. It tells me yuck happens. It never promises me a rose garden, in this messed up world. But it promises love..... and wholeness... and healing. That was a refreshing post. Thank you! Thank you for saying that, Beth.